Do you hold a passport that’s about to expire? Even if you have a few months’ left on the document, that’s no guarantee you’ll be allowed entry to a foreign country. 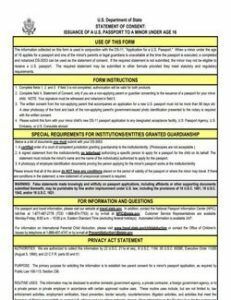 For passport holders who have already have a ten-year adult passport book or card that hasn’t been expired for too long or damaged, this form is the means to getting another. Form DS-82 can be submitted in person at a regional passport center or US consulate abroad, but cannot be used for children’s passport renewals. When it comes time for a child to receive his or her first passport, both parents must sign off on it. 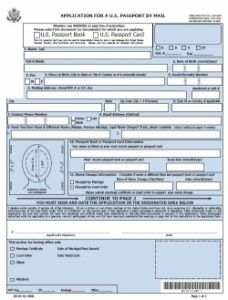 This form is useful when one or both parents cannot appear in person to present the application at a regional passport office or US consulate abroad. DS-3053 authorizes one parent to apply for the passport on behalf of the child, or a third-party agency like Travel Visa Pro to do so if both parents are unable to appear. This form must be submitted with DS-11, application form for a new passport. In addition, DS-3053 must be signed in the presence of a notary public. 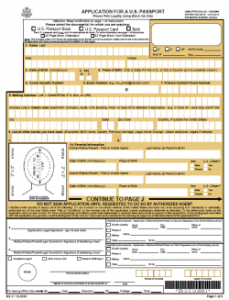 This is the most common application form for those seeking a first-time passport or a renewal. Form DS-11 applies to those who have never held a passport, are applying for a renewal of a child’s passport, or have had their valid passport lost, stolen, or damaged. The additional required documents vary according to the individual needs, but this form may be presented at any passport office or US consulate in exchange for a passport book or card. Due to the nature of thefts abroad, the loss of a passport does not initially have to be reported with this form. However, this is the document required to be (eventually) submitted in the event of a lost or stolen passport book abroad or in the US. 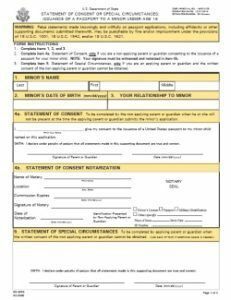 Applicants may submit this by mail or over the internet, or report their loss by phone and turn in the form at a later time. DS-64 is necessary to start the passport replacement process, but must be submitted with DS-11 and usually a police report at a regional passport office or US consulate abroad. Applying for a new passport or a passport renewal is an intricate process requiring specific forms from the US Department of State, certification you must provide yourself, money, and time. The forms required for your passport application depend entirely on the type of passport you want and the reason you need it. For example, a traveler who has a passport that has been expired for four years would use a different application form than one who has a passport expired for ten years. Because of this, it’s important to look carefully at each of the forms and determine which one is correct for your application. The experts at Travel Visa Pro are standing by if you need any assistance. However, if you are able to quickly determine the form for you, follow the instructions on the first page to the letter to ensure that there are no delays in processing your application at a regional passport office or consulate; any illegible forms or ones with incomplete information may be returned, costing the applicant days of travel time. Depending on the passport you request and the expediency required, the processing time can take anywhere from several weeks (by mail) to just a few days (in person), or a matter of hours (through TVP). Expedited service does add additional fees, and the officer processing your application usually requires proof of immediate travel or an emergency to justify the quick turnaround.